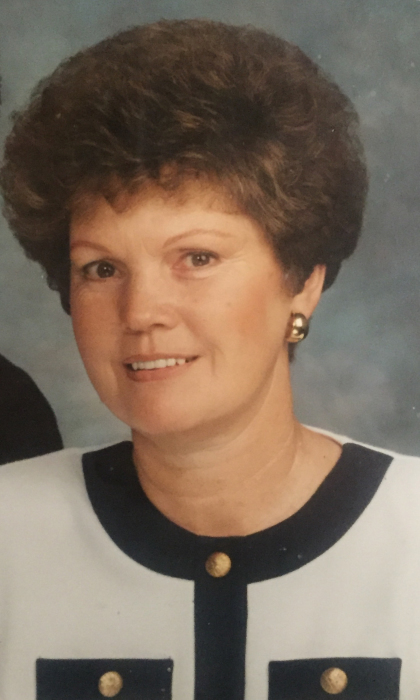 Highland – Darlene Davies Welcker, 81 died January 23, 2019 in Highland Utah. Born September 4, 1937, of goodly parents, Brigham Dewey Davies and Doris Evelyn Olson. She married Max B. Welcker September 9, 1955 in the Salt Lake Temple. She served in many capacities in the various communities she lived in throughout her life. An active member of the Church of Jesus Christ of Latter day Saints, she began her service at the young age of 13 as the pianist for the primary and other auxiliaries. She served in many capacities in the ward and stake level in Relief Society, Primary, and Young Woman. She could always be found leading a choir whether in her church service or community. Among her greatest accomplishments in her church service she loved her time spent as a missionary. She served three missions in the Missionary Training Center in Provo, The Conference Center in Salt Lake City, and the Mt. Timpanogos Temple. She was blessed to play the piano. She could play any song requested on the spot, as she had the gift of playing by ear if she so desired. Countless young people learned to play the piano over the many years from the hands of her skilled teaching. She enjoyed camping with her family from an early age, and when autumn arrived, she would always be found driving through the mountains enjoying the changing of the seasons. As her seasons changed in her later years, she experienced great joy and contentment in feeding the many various birds and wildlife that found their way into her yard. Funeral Services will be Wednesday January 30, 2019 at 11:00 a.m.in the Highland 28th ward, 5335 West 11200 North. A viewing will be held at the Anderson & Sons Mortuary in Highland, Tuesday evening from 7 to 9p.m. at 6141 West 11000 North; and Wednesday at the church from 9:45 to 10:30 a.m. prior to the service. Interment, Alpine City Cemetery. Funeral Directors, Anderson & Sons Mortuary, American Fork and Highland.